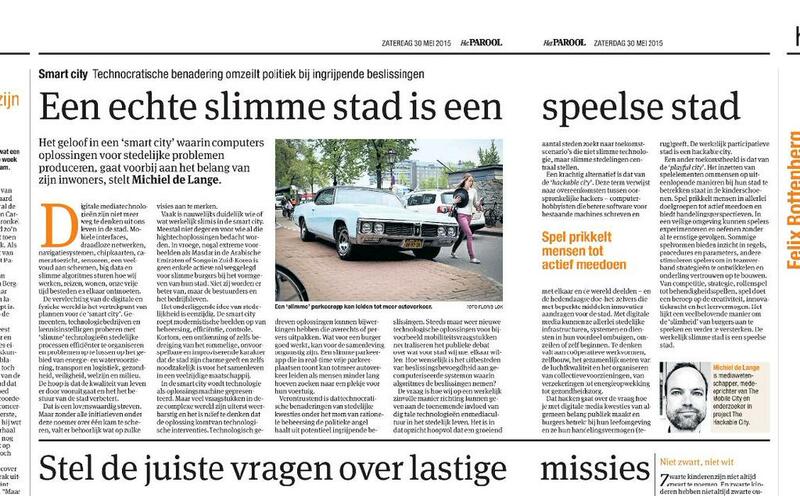 For the Saturday May 30 2015 edition of national newspaper Parool (with a strong basis in Amsterdam), I wrote an opinion article called “Een echte slimme stad is een speelse stad” (“A truly smart city is a playful city” – available online in Dutch). See below. Hi-res pdf file of “Een echte slimme stad is een speelse stad“.